While you’ve been hopping around the island you might have noticed an influx of little green creatures. Cape Hatteras National Seashore has started to make improvements to Devil Shoals Road on Ocracoke Island. Pre-hurricane swell brings all the surfers to the beach. All are welcome to a public sea turtle nest excavation on Tuesday, August 7th at 10:30am. 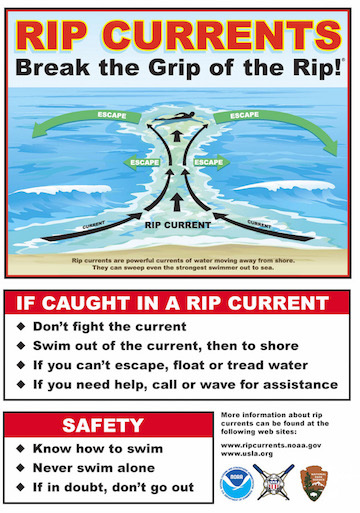 Rip currents are deadly. Please read these helpful ocean safety tips. South Point beachgoers were treated to an amazing stormy sky. Sunday afternoon, Ocracoke witnessed a severe-weather event off South Point.